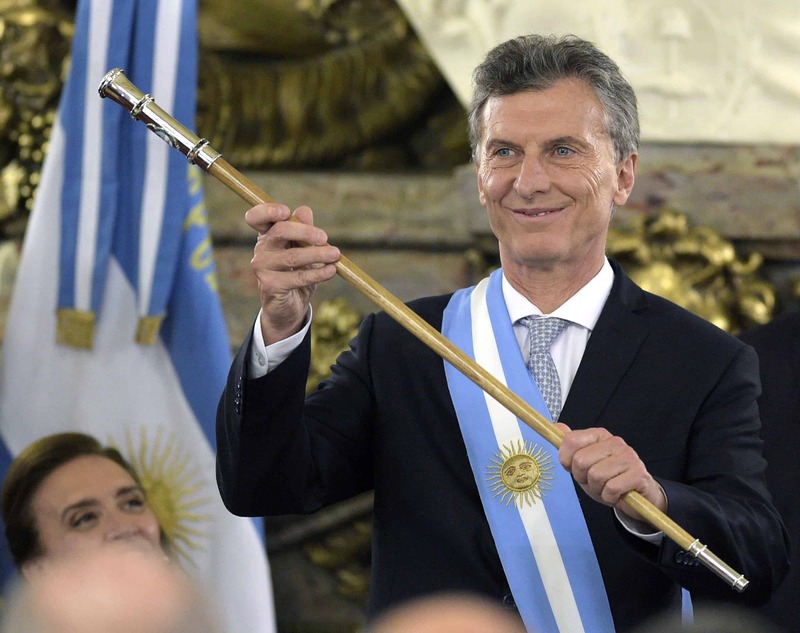 BUENOS AIRES, Argentina – Argentina’s new President Mauricio Macri was dismissed by rivals as a spoiled elitist, but tapped frustration with the sinking economy to put an end to 12 years of left-wing rule. The business-friendly conservative was sworn in Thursday, a sea change for Argentina after three terms under left-wing power couple Néstor and Cristina Kirchner. With a dashing smile under his piercing blue eyes, the graying 56-year-old channeled discontent among Argentines fed up with the Kirchners’ protectionist policies and confrontational brand of politics. He managed to shake off his image as a fat cat — potentially fatal in Argentina, a country with a loaded history of class conflict — to build a broad coalition of supporters around his mantra of change. Macri drew leaders of various political stripes to his cause, including from the Kirchners’ “Peronist” movement and social democrats as well as right-wingers. 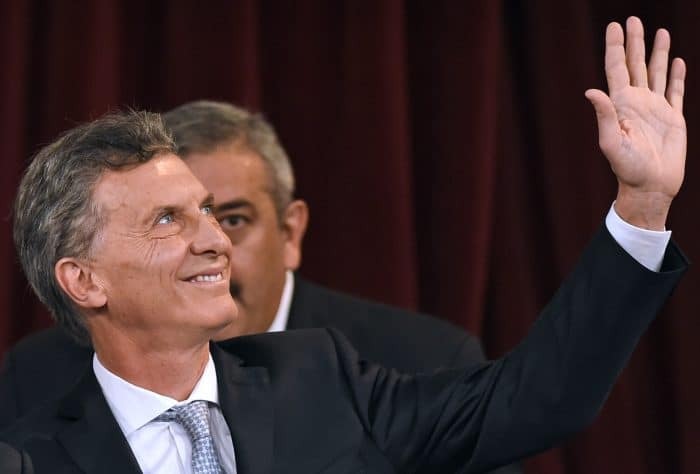 Fresh off a come-from-behind win in the Nov. 22 runoff election, he has promised to ease restrictions on imports and end the official exchange rate, which will likely lead to a sharp devaluation of the Argentine peso but should help curb double-digit inflation. He rose to fame as the president of Argentina’s most popular football club, Boca Juniors. “I wanted to be Boca’s number nine” striker, he once said. Instead, he led in the boardroom during the team’s most successful period, seeing it win 17 titles. That powerful position catapulted him into politics. He founded his Republican Proposal alliance, known as PRO, in 2005. Elected mayor of Buenos Aires in 2007, Macri led a movement called “Let’s Change” vowing to roll back policies that Kirchner says help the working class but business leaders say wrecked economic growth. Macri was born in Tandil, a city in an eastern agricultural region, and was educated at the elite Cardinal Newman College in Buenos Aires. The son of a rich businessman, he previously managed the family firm. He is married to model and fashion entrepreneur Juliana Awada, with whom he has a 3-year-old daughter. He has two other children from a previous marriage. In the October first-round vote, Macri surprised pollsters by finishing close behind Daniel Scioli, Kirchner’s chosen successor. That enabled him to seize the momentum as the vote headed to a runoff. Macri crisscrossed the country’s poorest provinces, hugging children and grandmothers and promising not to take away anyone’s social benefits but give them the chance to work. In his inaugural address, he promised to fight “untiringly for those who need it most,” a nod to those campaign pledges. His life has been marked by dramas and scandals. In 1991, he was kidnapped and freed two weeks later after his family paid a $6 million ransom. He was cleared of smuggling charges in the 1990s and overcame accusations of links to groups of Boca football hooligans. In a more recent case, he faced accusations that he spied on opponents. His style has been compared to that of Republican politicians in the United States. On the campaign trail, he combated his stuffy image with colorful rallies, dancing the Argentine “cumbia” and imitating the singer Freddie Mercury. He has vowed to liberalize the economy, but the contest against Scioli also forced him to face up to voters’ social demands. Scioli branded Macri a “stuck-up” elitist.